SHIP Program on Trump Chopping Block- Can We Save Seniors GPS to Medicare ? 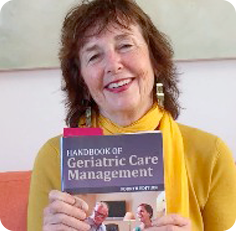 I have a master’s degree in aging from UC Berkeley and 40 years of experience with Geriatric Care Management. I am no Medicare slouch. But I had one big trick up my sleeve. Because I teach aging, I knew who to call to break through this boondoggle. I called SHIP ( State Health Insurance program). An expert volunteer who was an accountant immediately called Medicare and Medicare filed a claim with Silver Script after I presented banking records for 4 years showing I had paid. This little-advertised program is your GPS to untangling Medicare. You can go before you are eligible and they will find the best Medicare insurance carrier and program for you, by matching your health needs with the many confusing plans. Ship demystifies Medicare and as my case illustrates, becomes your powerful advocate when you have run into what Dickens so bitingly called “The Circumlocution Office” or bureaucracy ‘s never ending roundabouts that never lead to your destination. The bad news is – The Trump administration has proposed eliminating – the very gear that allows you to steer yourself through any Medicare boondoggle. SHIP will loose its funding if we do not advocate for it. Congress will slash SHIP’s $52 million annual budget by $49 million, effectively ending federal support of the program. This is a first shot at getting rid Medicare and a strong warning. Baby Boomers Unite- you know how to protest. Adult children ACT quickly. Write to all your congress men and women and ask them to vote again a cut in SHIP. You can e mail- calling is very effective as well. But ACT and do not wait- or it will be gone. In the sober light of January, consider these ten to-do’s. Let’s go through the first two points. Call and make an appointment with your elderly relative’s physician during your next visit. Do this before your next trip. Accompany your family member to the appointment and go in and see the doctor with them. Before the medical appointment make list of all the questions you want to have answered and symptoms that worry you or the older person. Remember that physician’s appointments are really short- like ten minutes. Get the name of the doctor’s nurse before you go, and if possible get her card . The RN will be easier to reach than the doctor, if you call after your visit. Ask about a HIPAA Release of Information Form , and make sure one is on file at the doctor’s office so that you can talk about personal information about the older person with the doctor. Keep a copy for yourself. If your relative is on Medicaid or there is a Durable POA (power of attorney), make sure the doctor has a copy in the patient’s chart. If you have not done this already, gather all the legal, financial, and insurance paperwork for the older person during your visit. If your family members are mentally clear, make copies of the documents and put them in a binder with a section for each category. Show them how to use it. Take the originals back with you, and place them in a safe deposit box. Set up a filing system for yourself at home with a second set of copies. Key documents are any legal documents, birth certificate, social security card, divorce decree, will. Key insurance information includes auto, homeowner’s, Medicare, Medigap, long-term care disability. If you have questions about insurance ( Medicare, Supplemental Medical), make an appointment with the State Health Insurance Program a free senior insurance counseling service through the Area Agency on Aging in every county in the country. If you have not done this already, a key task of a long distance care providers is to gather all the key legal, financial, and insurance paperwork for the older person during your visit. If the older person is mentally clear, make copies and place them in a binder with a tab for each category, and show them to use it and where it is located. sored health plans, disability. Life insurance, safety deposits box, homeowners insurance If you have questions about insurance, make an appointment with the State Health Insurance Program (SHIP,) a free senior insurance counseling service through the Area Agency on Aging in every county in the country.